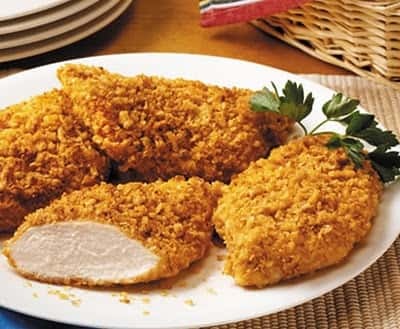 Four Boneless, Skinless Chicken Breasts Marinated in Lavender Oil, Crusted in Fried French Onions, Baked and Finished in our Provencal Sauce (Butter, Organic Chicken Stock, Lemon Juice). Looking for More Servings? Get 4-5 Servings with Choice of Sides by Clicking Here!